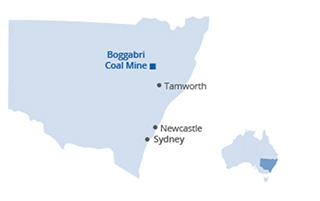 Boggabri Coal is a long-standing member of the community, providing employment opportunities, supporting local businesses, and developing strong relationships across the region. We work with the local communities of Boggabri, Narrabri, Gunnedah, and the surrounding areas where our staff and suppliers live. inviting school groups to visit the mine site to educate young people about the mining industry. Boggabri Coal works with an open and transparent Community Consultative Committee (CCC) and engages with them regarding the mine’s operation, to help keep residents up-to-date with our operations, environmental management and community initiatives. The CCC meets quarterly and is made up of active community members who live and work in Boggabri and the surrounding region. Members are approved by the State Government and represent a variety of interest groups, businesses, and residents. The CCC minutes are published online after each meeting. To have your say on community matters, email BoggabriCCC@boggabricoal.com.au or call our 24-hour community hotline on 1800 BOGGABRI (1800 264 422 74).